Yes, I’m a straight male in my 30s. And yes I have lots of comics with punching, and kicking and shooting. And boobies. And I also have these: Some of the best romance comics you’ll ever read in your life. 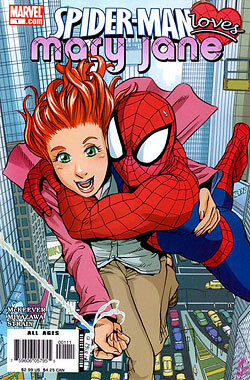 This is the story of a young high-school student named Mary Jane Watson. She’s pretty, she’s smart, and she has a crush on a guy who dresses up as a human spider. It’s a slightly alternate take on the early days of Spider-Man, and specifically aimed at the teen girl audience. So why do I own these? And love them? Because genre doesn’t matter to me. I love good stories with interesting characters, and these have both in spades. These are well-crafted relationship comics, expertly done by Sean McKeever and Takeshi Miyazawa. The familiar backdrop of Peter Parker’s tumultuous high school love life is the setting here, and as such it takes some minor familiarity with the Spider-Man legend. What do you need to know? That Peter Parker is Spider-Man. That’s it, but you do need to know it in advance as the series itself never actually states it. Again, this is a story about Mary Jane. Spider-Man is just one of the characters in her life. Two, actually, as he and Peter Parker are very much treated as separate entities, although we know they’re not. I know, this is an unconventional choice for a superhero comic. But it’s funny, it’s sad, and it’s got some great character beats. This is one of the first things that Dan Slott ever did for Marvel Comics, and it’s a big part of the reason why he’s currently the Shepherd of all-things Spidey. Why? Because it’s fun. So much fun. If your Spidey is the Marvel Team-Up Spidey of the late 1970s and 1980s, this book is for you. 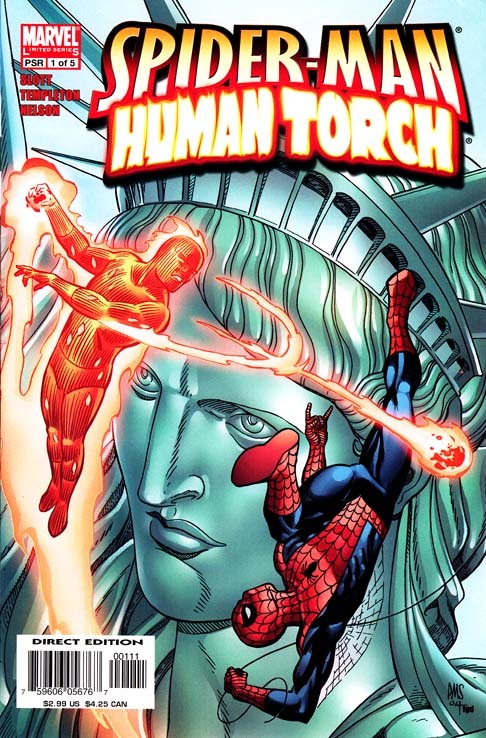 It’s the story of two friends, Spidey, and the Human Torch. Now, they may not always know that they’re friends, and sometimes they don’t act like it, but they are. Best friends in fact. And so Slott puts them through hijinks after hijinks, and what we get is just a good, all-ages superhero story, the likes of which are few and far between these days. This entry was posted in Comic Books and tagged Comics, Dan Slott, Human Torch, Marvel, Spider-Man. Bookmark the permalink.